My Kentucky Living shared one container three ways. How's that for being frugal and re-using. Great tips and ideas. 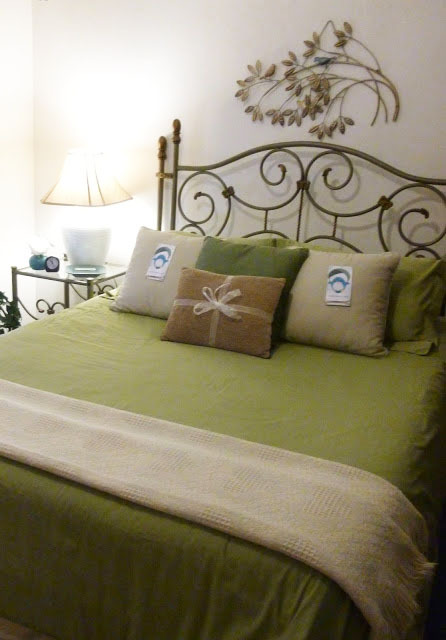 Nellie's Cozy Place did a gorgeous makeover on her guest bedroom by shopping the house. Beautiful new room and didn't cost a cent. 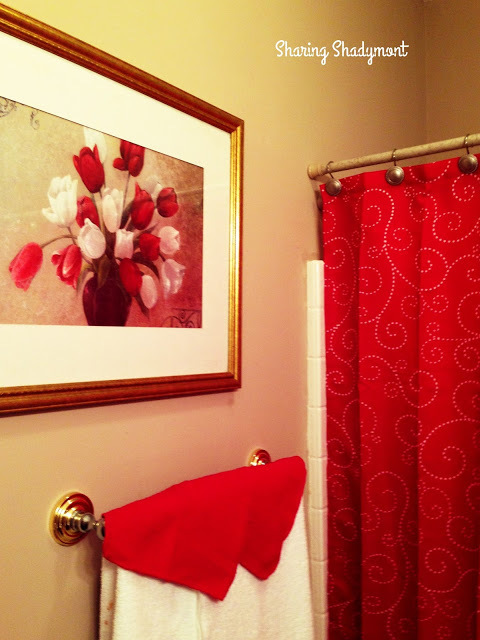 Sharing Shadymont took her guest bathroom from Bland to Bold. She just shopped the house and went from neutral to STUNNING. 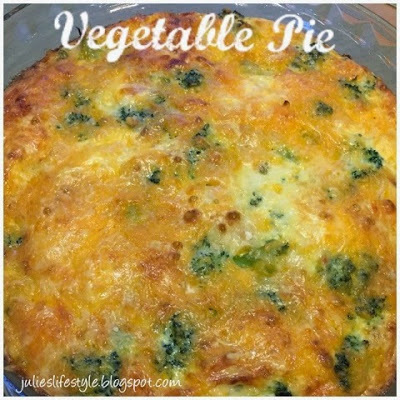 Julie's Lifestyle shared the recipe for this fabulous impossible pie. How good does this look. Amore, Pasta and Pizza gave us a step by step tutorial for her fabulous pizza dough. I can't wait to make this, love me some pizza. Thanks so much for featuring my veggie pie recipe! Thanks for hosting this fun party. Today I'm sharing a ghost decoration I made. Wishing you a wonderful Friday and weekend. Yeah! I had two things to link up this week! Keep it coming Miss Marty, I'm so inspired! Thanks for hosting, Marty! Have got to try the pizza dough recipe! Have a great week! Oh wow, I've never seen this party dear Marty and I'm so glad so I can join with my tablescape and few of the elements I made myself and since I am late for your great Tuesday party. Thank you so much for hosting dear Marty and thank you for the great comment you sent me, you sure made my day! Marty, I just added a couple of links for projects where I spent less than ten dollars. 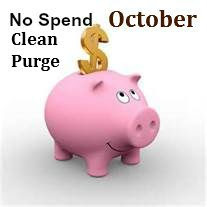 So, while they aren't "no spend" they are "very very little" spend.I hope that is ok.
Marty, I linked up my Halloween table. It is no spend since I had everything! Thanks for hosting ths fun party! Thanks for hosting, Marty. I shared my family room no spend picture ledge gallery wall. Thanks so much for the feature, Marty!! Love this party! So many beautiful links! Thank you.